Is the item, place or service good value for money? For most people, there is a pleasure sensation is looking over various destinations. However finding an appropriate travel hotspots can be a daunting task. Several constraints come at play here. Issues like preference, safety, costs, food scenes, as well as choice of travel agents. Here are some of the top online travel agents. In Jan 2014 bookings.com totaled 166 million visits making it one of the most sought after online travel agents in the globe. The extensive global coverage is served by having over 41 language editions of the site. As part of the Priceline group of companies booking.com handles more than 700,000 room reservations per day. The online travel giant does not charge booking fees to customers but instead collect a small commission on bookings to accommodation partners. The company goes big on advertising with Google Ad words reported booking.com’s annual spending was over $40 million in 2011 alone. The site had an Android and iPhone applications. Founded in 2001, bolstered by an impeccable loyalty program, Orbitz is an invaluable travel agent for vacation goers. It levies zero booking fees on airline tickets for single-carrier flights that originate from the U.S., Canada, Mexico and the Caribbean. The site provides exclusive promo codes and important info about flight changes that might affect your flight. The site provides a value for money flight system on cheap ticks for your flights as well as hotel reservations. The site is accessible on various media platforms such as mobile and tab (Android and iPad). Coming of the back drop of a $1.8 billion purchase by Priceline 2013, Kayak has emerged as a new top online travel agent. Information of hotel and car bookings is available to customers at the click of a button. The provides consumers with real time information on one-way flights, same-day hotel bookings and short haul flights. Kayak provides consumers with interesting information such as baggage fees, weather data as well as maps of destinations as well airport terminals. The site provides flight trackers and an array of tools to manage itineraries. Kayak has a mobile site that helps travelers make last minute bookings. Based in Bellevue, Washington was launched in 2001 as a n online booking engine to provide services to travelers. Expedia launched the highly popular Tripadvisor site in 2011 It uses multiple global distribution systems to collect flight and booking information. 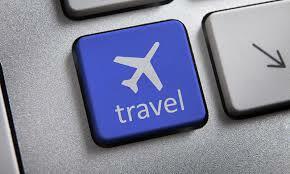 Expedia books airline tickets, hotel reservations, car rentals, cruises and vacation packages for its consumers. The site has a bounce rate of 26.4% (percentage of visits that consists of a single page view). Expedia has a 5.11 daily page views per visitor with 6.11 daily time on site. Expedia has an Alexa rank of 515. In 2014 the website become one of the few online agencies to accept bitcoin payments. The system is simple for customers. It allows customers to pay for hotel rooms on the site rather than at the hotel. Travelocity is one of the most popular online travel agents. The site provides top flight deals on flights on some of the world top destinations. Founded in 1996 as a wholly owned subsidiary of Sabre Corporation plays a leading role in consumer travel business. The site offers customers the to browse through its catalogue of hotels. Additionally Travelocity also provides an additional rental car location service from some of the top Rental car deals. 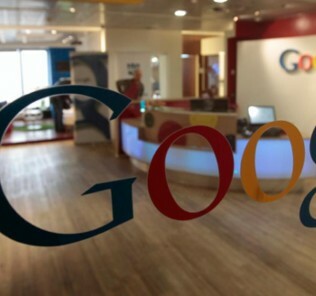 WHAT IS GOOGLE DOING IN THE TRAVEL INDUSTRY IN 2015? How To Shop and Make Money On Jumia: Is Jumia Safe?